MUMBAI – MAHARASHTRA – INDIA JUNE 17 , 2013 00.30 A.M. I was closely following the political turmoil which gripped BJP after its Goa National executive Committee meet . I was particularly peeved when some disgruntled youth protested in front of Advaniji’s house in New Delhi . The banners they used informed us that they belonged to a little known organization called Modi Sena . One can draw the inference that officially BJP or Shri Narendra Modi has nothing to do with it . But I remember one more protest of the same nature against Shri Atal Bihari Vajpayee . 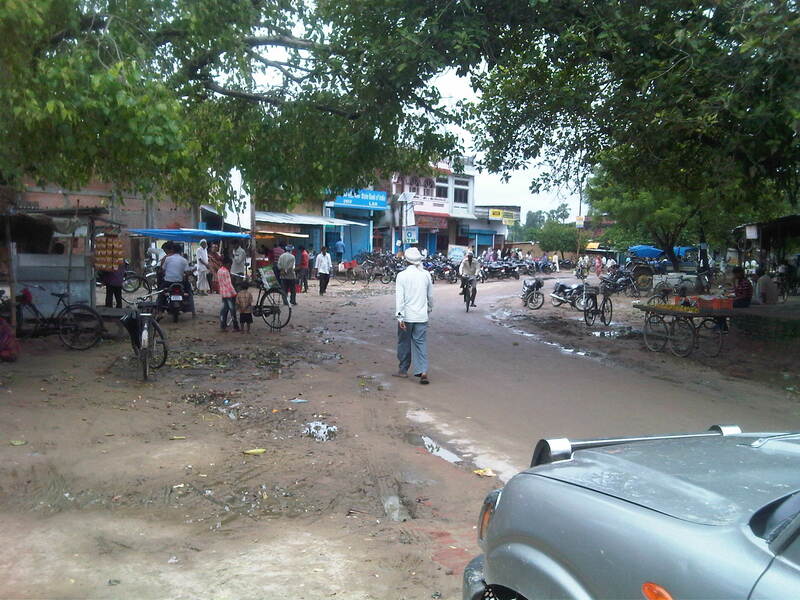 When there was a rebellion against Shri Keshu Bhai Patel , Atalji went to Gandhi Nagar to broker peace . Keshu Bhai Patel was removed and Suresh Mehta was anointed as Chief Minister of Gujarat . There were protests against Atalji . When he was heading for airport , his car was gheraoed by few slogan shouting youth . At that time also protesters shouted obscene slogans against him . At that time also we were informed that they were some disgruntled youth and they don’t belong to the party . And we believed . But some disgruntled youth again appeared and shouted slogans against Advaniji . Coincidence can’t happen again and again . Who is responsible for this act . How come few disgruntled youth appear on the scene when something happens which is not liked by someone . And yes , they have audacity to protest against Atalji and Advaniji and that too with impunity . I am curious to know about the Rastra Dharma Rakshak and Shri Dhiraj Desmukh , who seems to be heading this organization . 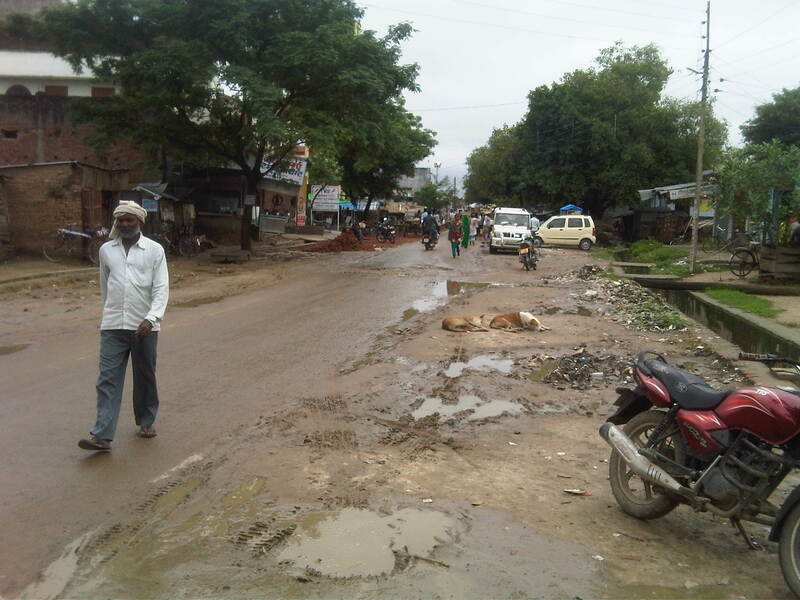 They proclaim to admire Shri Anna Hazare , Baba Ramdev and Shri Narendra Modi . But in order to admire above mentioned great personalities , you need not ridicule or insult the other ones . Previously they used to post obscene comments and insulting pictures of Shri Manmohan Singh and Shrimati Sonia Gandhi . In democracy you can oppose any person or leader and even criticize them . But it should be done in a decent , civilized way . To Photoshop any leader’s photo and then posting it on social networking sites is unethical . Their bent of mind is puzzling . Is it necessary to support everyone whom they support ? Are we duty bound to acquiesce to their dictates ? If it is so , is it good for democracy ? Or it is democracy at all ? If Advaniji says that he is not well , so he is not well . If he doesn’t want to go to a particular meet , it is his choice . He doesn’t need Rastra Dharma Rakshak’s nod for that or their permission to skip the meet . Any one wanting to know their bent of mind can send them friend request on facebook and see what they write . It is filthy . It is vulgar . It is uncouth . It is demeaning to even reproduce those postings here . 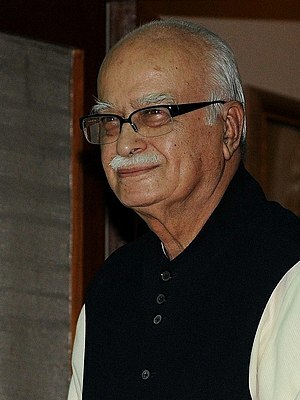 Yesterday the man to be abused was Shri Lal Krishan Advani . Today the goal-post has changed . 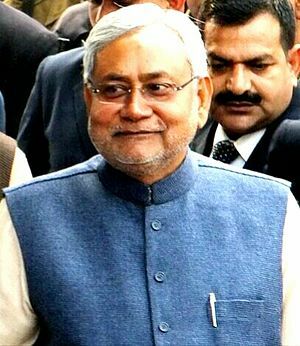 It is now turn of Shri Nitish Kumar . I also wish that in the interest of the nation BJP and JD ( U ) should work together . But if JD ( U ) wants to break the relationship , it is their choice . But all of a sudden according to Rastra Dharma Rakshak , Nitish Kumar is supposed to be getting money from Pakistan . May I demand to know why was it not reported earlier ? In politics it is your right to criticise . But to rebuke , ridicule or insult is neither your right or your prerogative . I denounce Rastra Dharma Rakshak . They have no place in democracy . Their autocratic behaviour poses dangerous signal . I do respect Shri Anna Hazare , Shri Narendra Modi and Baba Ramdev . But I won’t allow myself to be forced to like or admire them . 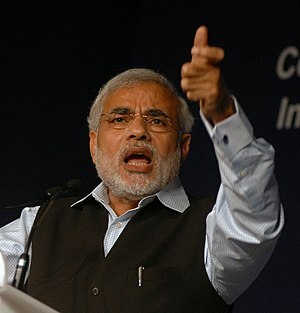 In fact years ago , when the embers of Gujarat riots were still hot and burning , I wrote two blog post in support of Shri Narendra Modi . 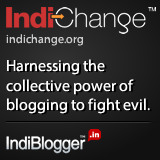 Anyone can visit the Political Category of my blog post and can read the blogs . If it is right of Rastra Dharma Rakshakt to admire someone , then it applies to me also . They cannot dictate terms or force me into subjugation . I may be small . I may be alone . I may be in minority but I still have the mind of my own which refuses to be cowed down by a Rastra Dharma Rakshak . 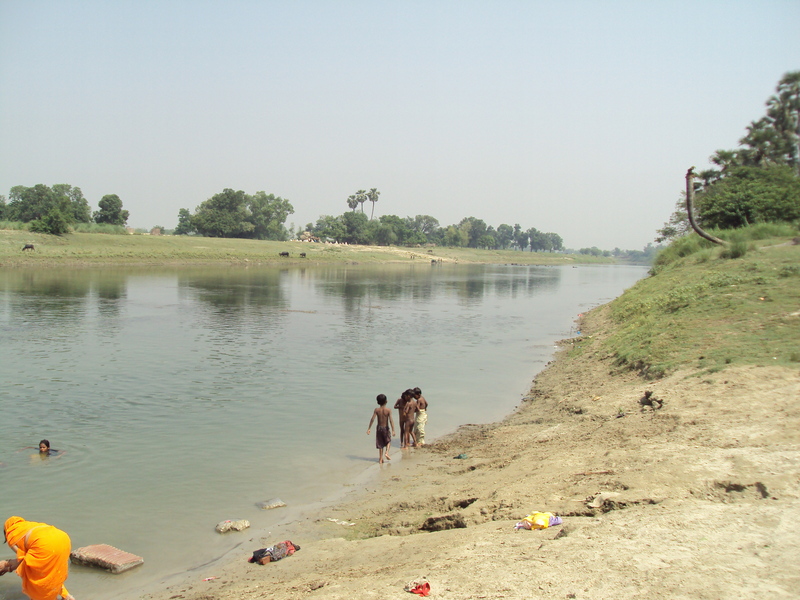 I finish my blog by remembering a poem written by Dr. Dharam Vir Bharti . लेकिन मुझे फेंको मत ! कोई दुस्साहसी अभिमन्यु आकर घिर जाय ! ब्रह्मास्त्रों से लोहा ले सकता हूँ ! सच्चाई टूटे हुए पहियों का आश्रय ले ! 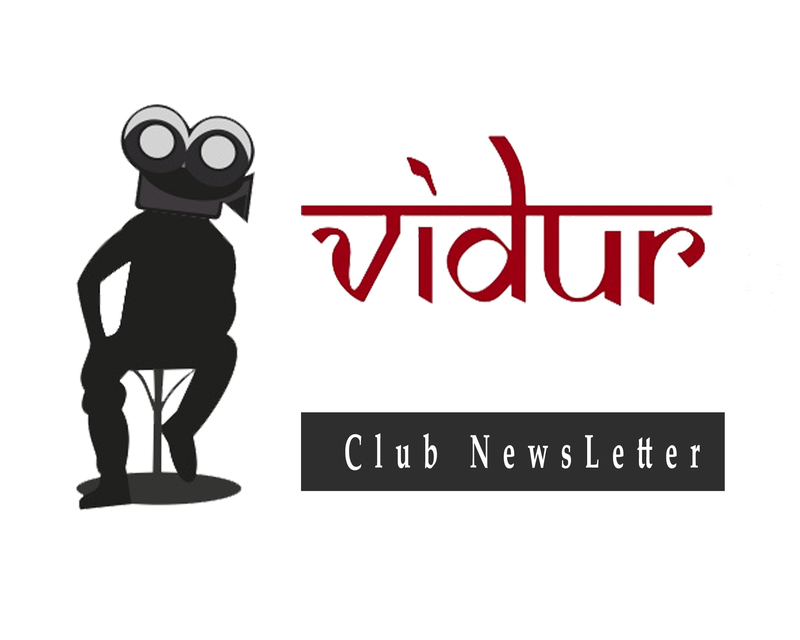 On behalf of all the students and staff of VIDUR Acting Institute , which is known as Vidur’s Kreating Charakters , and on behalf of VIDUR Editing Studio , VIDUR Club and VIDUR Theatre I express my voice in favour of personal freedom and against dictatorial tendency of few uncouth , sycophant paper tigers . They proclaim to be admirers of few great souls whom even I admire but not the way they wish me to admire them . MUMBAI – MAHARASHTRA – INDIA JUNE 16 , 2013 01.55 A.M.
” Yeh Jawaani Hai Deewani “ got released in the last week of May 2013 and it took the nation by storm . It was , though , expected to do good business at the box office but success of this gigantic proportion was not expected . It collected 62.11 crore in the opening weekend itself . It went on to collect 100 crore in the first week of its release and now it is the 2nd fastest 100 crore earner till date . Its overseas weekend collection stands at 22.10 crore . It is Ranbir Kapoor‘s biggest opener in overseas . It is the biggest opener of 2013 till date . It is the 3rd biggest all-time grosser in the history of Hindi cinema . Top 3 grossers in India: #3Idiots – 202 cr, #EkThaTiger – 199 cr, #YehJawaaniHaiDeewani – 155.28 cr [still counting]. Because of the humongous success of ” Yeh Jawaani Hai Deewani “ , Ranbir Kapoor has become the biggest star in overseas after 3 Khans ; Shah Rukh Khan , Salman Khan and Aamir Khan . I have every reason to celebrate this success . My name appears in the titles of the film . I am billed as Diction Coach . My elder son Abhinav Chaturvedi’s name is also there in the credits . I spent almost a month in Manali with the unit . 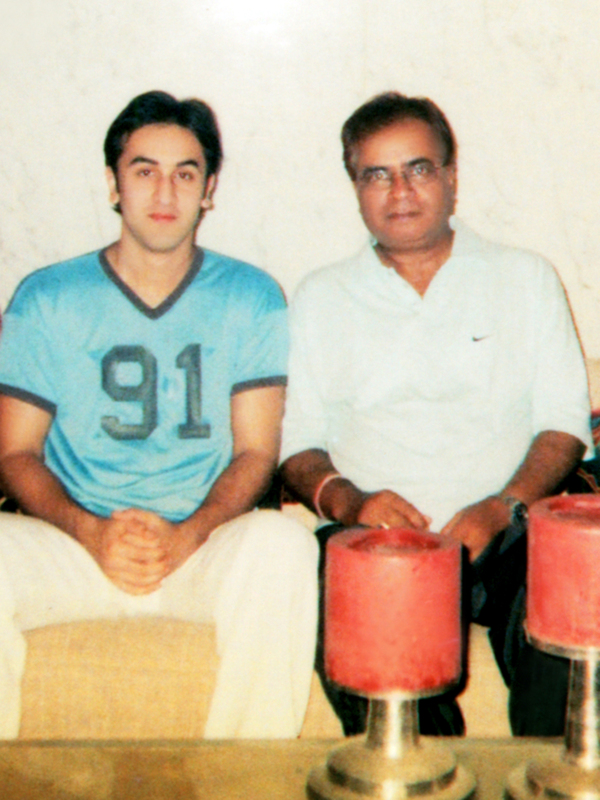 Ranbir Kapoor is my old student . 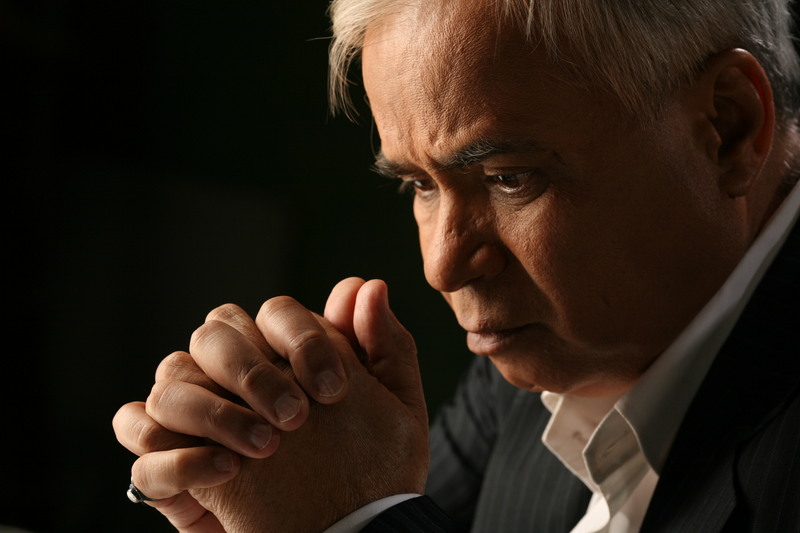 During this period I worked extensively with Kalki Koechlin and briefly with some others stars . It has become the norm for acting trainers to revel in fake successes . Revellers beg their friends to promote their film on social networking sites so that they get more shows . And in spite of the limited shows , they brag about its so-called stupendous success . If a film collecting a paltry 50 Lakh is cause to revel for revellers , then I should be ecstatic because ” Yeh Jawaani Hai Deewani “ is the 3rd highest grosser of all time . At the time of writing of this blog it has garnered 155.28 crore and it is still going strong . #YehJawaaniHaiDeewani Fri 19.45 cr, Sat 20.16 cr, Sun 22.5 cr, Mon 13 cr, Tue 12 cr, Wed *est* 11 cr. Total: 98.11 cr. Nears 100 cr mark! AUSTRALIA: #YehJawaaniHaiDeewani Wknd A$ 268,224, Mon A$ 38,125, Tue A$ 54,276, Wed A$ 21,459. Total: A$ 382,084 [Rs 2.06 cr]. Wonderful! UK: #YehJawaaniHaiDeewani Wknd £ 408,491, Mon £ 42,015, Tue £ 57,321, Wed £ 70,971. Total: £ 578,798 [Rs 5.08 cr]. Excellent! So #YehJawaaniHaiDeewani will achieve its target of 100 cr today [Thu]. Before Week 1 comes to a close… Super! #YehJawaaniHaiDeewani Wednesday *early estimates* seem like 10 cr +. Wait-n-watch! At the rate it is faring, #YehJawaaniHaiDeewani should touch 100 cr mark by Thu noon. Before Week 1 comes to a close! #YehJawaaniHaiDeewani Fri 19.45 cr, Sat 20.16 cr, Sun 22.5 cr, Mon 13 cr, Tue 12 cr. Total: 87.11 cr. MONSTROUS HIT! Incidentally, #HumTum , #BuntyAurBabli  and #Fanaa  were also released in the last week of May. Last week of May/first week of June – Here’s yet another week producers can eye while planning the release of their film/s. Think about it! NEW ZEALAND: #YehJawaaniHaiDeewani Wknd NZ$ 80,648, Mon NZ$ 25,535, Tue NZ$ 16,256. Total: NZ$ 122,439 [Rs 55.54 lacs]. Fantastic! AUSTRALIA: #YehJawaaniHaiDeewani Wknd A$ 268,224, Mon A$ 38,125, Tue A$ 54,276. Total: A$ 360,625 [Rs 1.96 cr]. Terrific! UK: #YehJawaaniHaiDeewani Wknd £ 408,491, Mon £ 42,015, Tue £ 57,355. Total: £ 507,861 [Rs 4.39 cr]. Superb! #YehJawaaniHaiDeewani Tuesday trends indicate 11.5 cr. Humungous. Wait-n-watch! At the rate it is faring, don’t be surprised if #YehJawaaniHaiDeewani touches 100 cr mark in Week 1 itself. BLOCKBUSTER. #YehJawaaniHaiDeewani passes Monday test with distinction marks. Fri 19.45 cr, Sat 20.16 cr, Sun 22.5 cr, Mon 13 cr. Total: 75.11 cr. #YehJawaaniHaiDeewani Overseas *weekend total* stands at approx. $ 3.9 million [Rs 22.10 crores]. #YehJawaaniHaiDeewani is super-strong on Monday. Early trends indicate 9.5 cr to 11 cr, taking 4-day total to 70 cr+. Wait-n-watch! #YehJawaaniHaiDeewani collected Rs 62.11 cr nett in opening weekend. Breakup:- Fri 19.45 cr, Sat 20.16 cr, Sun 22.5 cr. Outstanding! #YehJawaaniHaiDeewani – New Zealand: Collected NZ$ 80,648 [Rs. 36.33 lacs] on 10 screens in opening weekend… Debuts at No. 5 position. #YehJawaaniHaiDeewani – Australia: Collected A$ 267,920 [Rs. 1.46 crores] on 17 screens in opening weekend… Debuts at No. 5 position. #YehJawaaniHaiDeewani – UAE & GCC: Collected AED 3,000,000 [Rs. 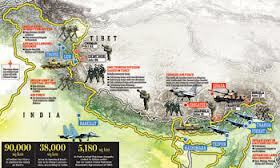 4.61 crores]… Note:- Thu to Sat figures. Sun data yet to be updated. #YehJawaaniHaiDeewani – USA & Canada: Collected $ 1,651,000 [Rs. 9.33 crores] on 162 screens in opening weekend… Debuts at No. 9 position. #YehJawaaniHaiDeewani – UK: Collected £ 405,784 [Rs. 3.49 crores] on 88 screens in opening weekend… Debuts at No. 8 position. #YehJawaaniHaiDeewani has also emerged Ranbir and Deepika’s biggest opener in Overseas, overtaking #Barfi [Ranbir] by a good margin. OVERSEAS: #YehJawaaniHaiDeewani has emerged the year’s biggest opener [so far], crossing #Race2 in key markets. #YehJawaaniHaiDeewani has a superb Sunday. Much better than Fri and Sat. 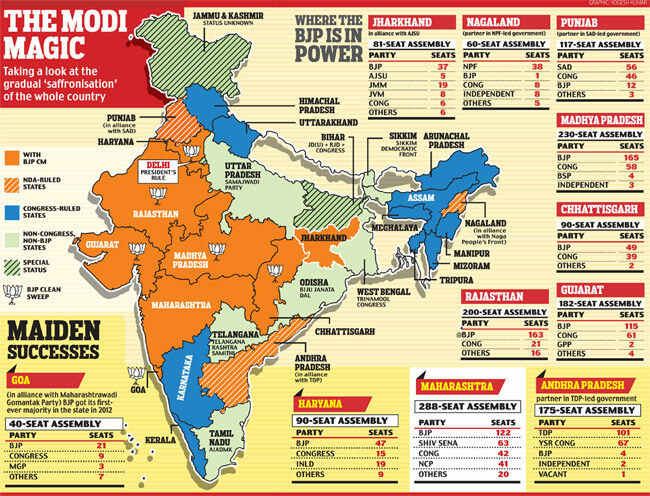 Data pouring in, but trends indicate 23 or 24 cr. Wait-n-watch! #YJHD Fri-Sat: USA-Canada $ 1.1 million, UAE AED 3 million, UK £ 280,000, Aus $ 180,000. Overseas total: $ 2.6 million [Rs 14.71 cr]. #YJHD Fri-Sat Overseas total: $ 2.6 million [Rs 14.71 cr]. #YJHD crosses $ 1 million mark in USA. Sat $ 607,000. Total: $ 1.07 million. Debuts at No 9 at USA BO. OUTSTANDING! Looking at Sun trends, a 60 cr + weekend is on the cards for #YehJawaaniHaiDeewani. Week 1 may close at 80 cr+, if the momentum continues! #YehJawaaniHaiDeewani Sunday trends: Seems bigger and better than Friday and Saturday! At the rate it’s faring, #YehJawaaniHaiDeewani will cross $ 1 million mark in USA-Canada by Sunday noon itself. NEW ZEALAND: #YehJawaaniHaiDeewani Fri NZ$ 20,028, Sat NZ$ 25,845. Total: NZ$ 45,873 [Rs 20.60 lacs]. SUPER… #Race2 [wknd] was NZ$ 71,341. AUSTRALIA: #YehJawaaniHaiDeewani Fri A$ 69,501, Sat A$ 104,632. Total: A$ 174,133 [Rs 94.15 lacs]. EXCELLENT… #Race2 [wknd] was A$ 183,750. UK: #YehJawaaniHaiDeewani Fri £ 118,150, Sat £ 160,468. Total: £ 278,618 [Rs 2.39 cr]. SUPERB… #Race2 [wknd] was £ 356,258. INDIA: #YehJawaaniHaiDeewani Fri 19.45 cr, Sat 20.16 cr. Total: Rs 39.61 cr. FANTABULOUS… #Race2 [wknd] was Rs 51.35 cr. #YehJawaaniHaiDeewani data being compiled, but Saturday biz looks in the same range as Friday. Could be 19 cr, 20 cr or more. Wait-n-watch! YJHD Overseas gross US $ 1.4mn. USA $400k. UAE 2.1mn Dirhams. UK £120k. AUS $70k. Balance ROW. Extraordinary. #YehJawaaniHaiDeewani USA-Canada Fri $ 334,678 from 119 locations. 43 locations yet to report. MIND-BOGGLING! Now this is a super start! #YehJawaaniHaiDeewani USA-Canada data still pouring in, but the film opens at No 9 position. Fabulous!… contd. NEW ZEALAND: #YehJawaaniHaiDeewani Fri NZ$ 20,028 … #Barfi NZ$ 22,815 [wknd], #Rockstar NZ$ 21,547 [wknd]. AUSTRALIA: #YehJawaaniHaiDeewani Fri A$ 69,501 … #Barfi A$ 138,257 [wknd], #Rockstar A$ 99,676 [wknd]. UK: #YehJawaaniHaiDeewani Fri £ 118,159 … #Barfi £ 229,783 [wknd], #Rockstar £ 184,592. INDIA: #YehJawaaniHaiDeewani Fri Rs 19.45 cr. STUPENDOUS!!! Those asking, #Dabangg2 holds the record of No 1 *non-holiday* opener. Will #YehJawaaniHaiDeewani emerge the biggest opener? Wait-n-watch! #YehJawaaniHaiDeewani takes not just India, but Overseas markets by storm. Is all set to beat #Barfi and #Rockstar by a big margin! #YehJawaaniHaiDeewani data being compiled. Like I said earlier, Ranbir’s BIGGEST opener. Will be 2013’s biggest opener too [so far]! In Overseas, Ranbir Kapoor is right next to the 3 Khans: SRK, Salman, Aamir. #Barfi and now #YehJawaaniHaiDeewani have cemented his status! #YehJawaaniHaiDeewani UAE *revised* Thu AED 900,000 … #Barfi Thu was AED 600,000 and #Rockstar Thu was AED 500,000. #YehJawaaniHaiDeewani *initial trends* suggest 18 cr Friday. Humungous opening! #YehJawaaniHaiDeewani takes a Blockbuster start in UAE. Thu AED 800,000. #Barfi Thu was AED 450,000. As per trends, #YehJawaaniHaiDeewani should be Ranbir Kapoor’s biggest opener – Day 1, opening weekend and Week 1. #YehJawaaniHaiDeewani opens to a Fantabulous start. Huge opening! Looking at the craze and screen count of #YehJawaaniHaiDeewani, the film should have a record-breaking start across India on Friday! Ranbir and UTV = Lucky combo. #WakeUpSid, #Raajneeti and #Barfi, all Ranbir-UTV films, have been Hits. Will they strike gold with #YJHD? As an acting trainer / acting tutor I am happy with the accomplishment . This time though I am writing about my association with ” Yeh Jawaani Hai Deewani “ but I am fortunate enough to have associated with all the 3 all time biggest hits of Hindi cinema . ” 3 Idiots “ has Kareena Kapoor , ” Ek Tha Tiger “ has Katrina Kaif and now ” Yeh Jawaani Hai Deewani “ has Ranbir Kapoor and Kalki Koechlin . All four are my students . Self-proclaimed most famous acting school of Mumbai , self-appointed most famous acting institute of India and self-anointed most famous acting academy of bollywood , along with some revellers have only a 50 Lakh grossing film to brag about . On behalf of all the students and staff of VIDUR Acting Institute , which is known as Vidur’s Kreating Charakters , I congratulate the cast and crew of ” Yeh Jawaani Hai Deewani ” . VIDUR Editing Studio , VIDUR Club and VIDUR Theatre would also like to congratulate them for this stupendous success . It was a nice experience to be associated with the biggest hit of 2013 and the 3rd biggest hit of all time . MUMBAI – MAHARASHTRA – INDIA JUNE 09 , 2013 11.45 P.M. Sitting in my study in Mumbai and trying to remember Jiah Khan is not easy at this juncture . I met Jiah 7/8 months back . I was approached by her manager and he requested me to train her as she was about to sign couple of big projects soon . 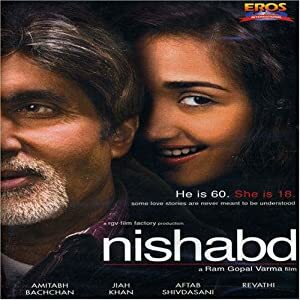 I had seen few scenes of ” Nishabd ” [ 2007 ] , her debut film . 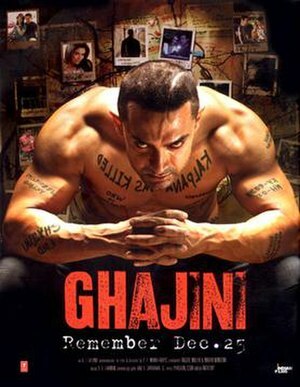 Then I watched ” Ghajini ” [ 2008 ] . I had watched ” Housefull ” [ 2010 ] also . That was it . But that is her complete filmography . Just 3 films in 4 years . And it was not a conscious decision . She waited for 3 years for her next break . But the wait was in vain . After getting call from her secretary , I called Jiah next day . Her mother answered the call . I went to meet Jiah Khan next day . I vividly remember her building , Sagar Sangeet in Juhu . I went to her first floor flat and was ushered in by Jiah’s mother . I sat on the sofa and then few moments later Jiah slowly walked in and sat in front of me . As has been said by many , she was not a conventional beauty . But I found her stunning , very charming and elegant . She offered me tea and we talked about the modalities of the training . She requested me to start from the coming week . I came out . But that coming week never came . She kept on postponing the classes . She always messaged me a day prior that since she is under weather , she wont be able to start classes. It went for a couple of weeks . Then I lost contact with her . I never cared to call back . I took her to be another spoiled brat . But when I read about her suicide , I immediately remembered above mentioned event . A sense of remorse engulfed me . Now I am feeling guilty . May be she was true . May be she was really not well . May be she needed people in her life . I would have been a positive anchor in her life . A caring teacher is sometimes more than a caring father . Had I been her tutor , may be the fate would have been different . But it was not destined to be . I am sorry but I do have fiery temper . Not knowingly or consciously but I have made some mistakes in my life because of my temper . Saying no to Jiah Khan seems to be one of the biggest mistakes of my life . May be the troubled girl child needed an emotional anchor and I know that I could have been a very positive anchor in her life . But as I have said earlier , it was not destined to be . On behalf of all the students and staff of VIDUR Acting Institute , which is known as Vidur’s Kreating Charakters , I offer my condolences to Jiah’s family . VIDUR Editing Studio , VIDUR Club and VIDUR Theatre also join me in expressing grief . I apologise to her mother , who was so nice to me when I first met her on that day . I still have Jiah Khan’s cell number but I have no gumption to call her mother . I have no courage to say sorry to her . Today , on a wet Sunday night , I am writing this obituary to express my guilt to one and all . I don’t know whether I deserve it or not but I seek forgiveness . Jiah’s eyes and her smiling face haunts me and it will torment me throughout my life . As a tutor I should have been more condescending , more understanding and more accommodating . I am 60 years old and she was just 25 . Farewell destiny’s troubled child . I feel ashamed that I am also in the list of few people , who failed you . 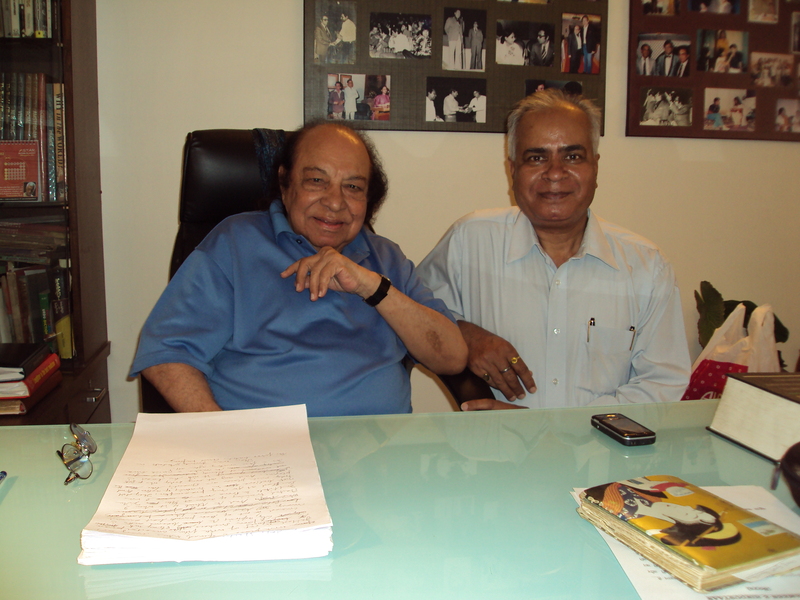 MUMBAI – MAHARASHTRA – INDIA JUNE 07, 2013 08.30 P.M.
Month of May 2013 is important for Indian cinema . On May , 1913 first full-length feature film ” Raja Harishchandra “ was released in Coronation Cinema , Girgaon , Mumbai [ then Bombay ] . India cinema celebrates its 100 years of existence this month . It is sad that in the year when Indian cinema is celebrating its 100th years , world of Indian films lost 5 luminaries in this month . It was not a very significant month either for Hindi films as for as box office collections are concerned . Out of all 11 released films , only ” Yeh Jawaani Hai Deewani “ hits the bull’s-eye . ” Shootout At Wadala ” , ” Go Goa Gone ” and ” Aurangzeb “ were average hits . Rest 07 were flops . SHOOTOUT AT WADALA opening in single-screens good, picked up very well in later shows.Opening in many multiplexes below the mark. #GoGoaGone collected Rs. 4.25 cr on Sat & Rs. 3.75 cr on Fri (approx). Total around Rs. 8 cr for two days…. Aditya Roy Kapur shines in YJHD. Kalki Koechlin springs the biggest surprise. Pritam no less a hero of the film. Ranbir stakes claim to be called superstar after the flying start of YJHD and his extraordinary performance. Deepika is mind-blowing. #BombayTalkies Friday *early estimates* 1.25 cr to 1.5 cr. #ShootoutAtWadala opens at No 11 position in UK. Despite 18 certificate by British censors. That says it all! Surprise! Surprise!! Overseas biz pouring in and for a film that’s got an 18 cert, the opening day biz of #ShootoutAtWadala is very good! #ShootoutAtWadala Fri 10.1 cr… Amongst the top openers of the year! #Gippi is straight from the heart. Brings back childhood memories. Sweet, simple, emotionally engaging, heart-warming cinema. As per *early estimates* #ShootoutAtWadala crosses Rs 45 cr mark in Week 1. Excellent! #Gippi Fri 75 lacs, Sat 1 cr, Sun 1.25 cr, Mon 40 lacs. Total: 3.40 cr. #ShootoutAtWadala [2nd Week] Fri 2.02 cr, Sat 2.33 cr, Sun 2.57 cr, Mon 1.20 cr. Grand total: 53.94 cr. #GoGoaGone Fri 3.75 cr, Sat 4.25 cr, Sun 4.90 cr, Mon 2.05 cr. Total: 14.95 cr. #Aurangzeb 2nd Week: 4.16 cr. Grand Total: 23.85 cr. From dancing on 2 peppy numbers ” Aana Meri Jaan , Meri Jaan , Sunday Ke Sunday “ and ” Jawani Ki Rail Chali Jaye Re “ in ” Shehnai ” [ 1947 ] to playing poor mother in numerous films , Dulari had a 56 year-long career in Hindi film industry . She died in Pune on January 18 , 2013 at the age of 85 . Posting link of the blog , which I wrote about her . Though not a film music director in true sense of the term , Ustad Zia Fariduddin Dagar made just one exception . He gave background music for Film-maker Mani Kaul’s film ” The Cloud Door “ [ 1994 ] . When I came to Mumbai in 1989 , there were only three photographers of repute . 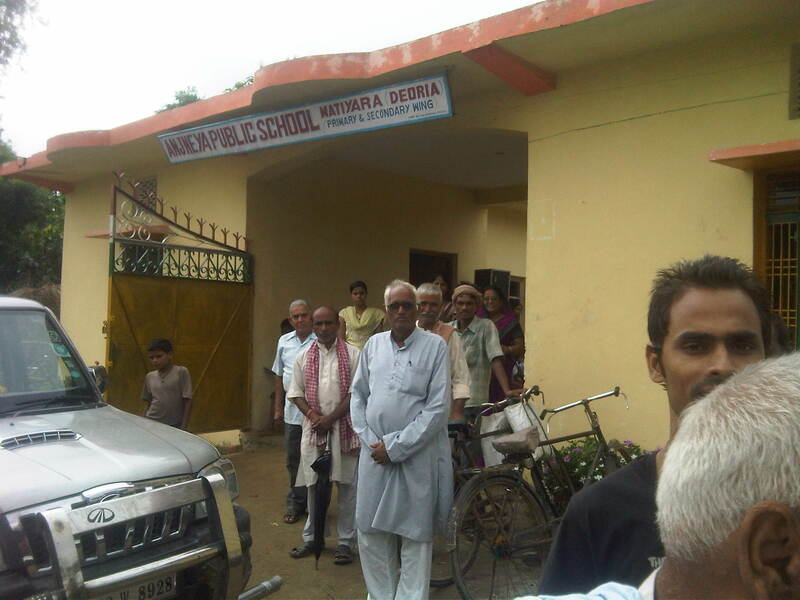 Gautam Rajadhyaksha , Jagdish Mali and Rakesh Shreshtha . Two of this triumvirate are now gone . 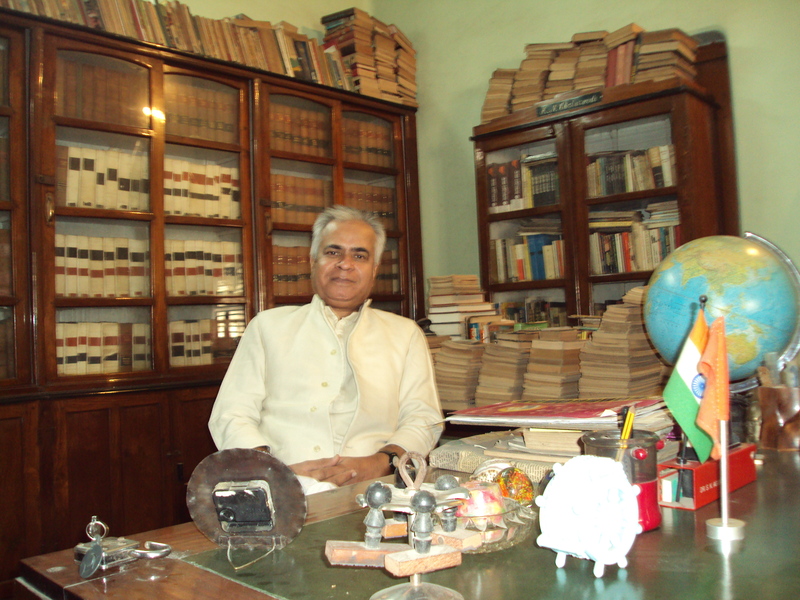 Jagdish Mali died on May 13 , 2013 in Mumbai in very tragic situation . Few months back he was found in semiconscious condition on the streets of Mumbai in tattered clothes . Sulbha Mantri, an actress who was active on Marathi stage & serials and also worked in some Hindi serials like; “Sarabhai v/s Sarabhai”, “Uttaran” & “Kuchh Khoya Kuchh Paya”, died on May 12, 2013 at the age of 63. She worked in Marathi serials like ; “Damini” & “Amchi Mati Amchi Manas”. 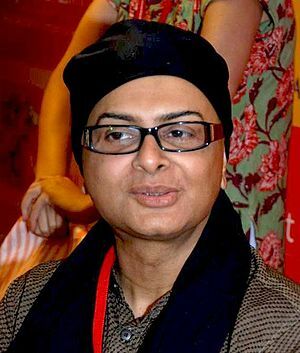 Renowned film maker Rituparno Ghosh passed away on May 30, 2013 morning in Kolkata at the age of 49. In total …………… 11 …………….. films got released in May . Out of these ………….. 11 ………… released films ……….. 10 ………… films have …………… 18 ……………. persons , who are trained by me . Out of these ………. 18 ……… persons , Prem Raj is the Director of ” Ishkq In Paris ” , Ashish Singh is the Executive Producer of ” Aurangzeb “ and Shekhar Ravjiani is the music director of ” Gippi ” . Remaining ………. 15 ………. are actors . Saif Ali Khan doubles as actor / producer of ” Go Goa Gone ” . 1 – Punjabi : Jimmy Shergill is playing main lead in ” Rangeelay “. 1 – Rohit Khurana is playing an important role in ” Dil Ki Nazar Se Khoobsurat “ on Sony TV . 2 – Manish Naggdev is playing an important role in ” Savdhaan India “ on Life OK .
My ……………. 02 ……….. students in ………… 02 ……………. shows on different channels . 1 – Pratik Kothari is playing an important role in ” Mummy ! Tu Aavi Kevi ” ? 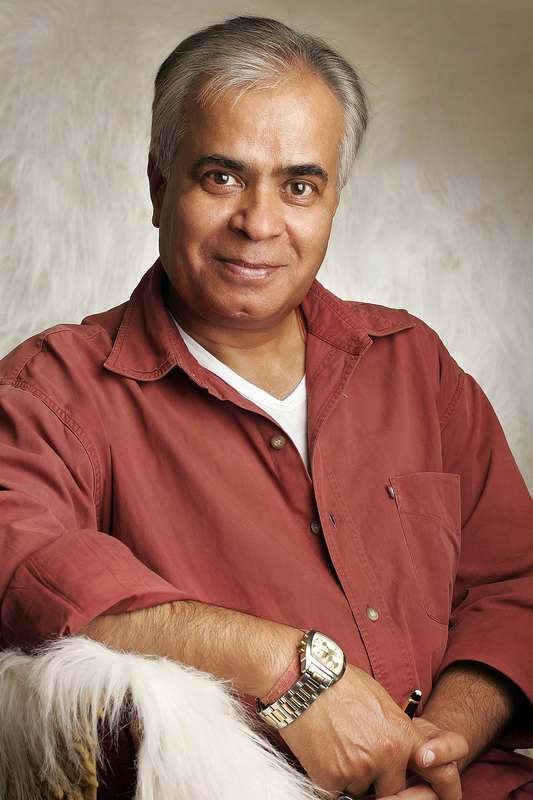 2 – Adhir Bhatt is playing lead in ” The ugly One ” . 3 – Vikrant Sharma is playing an important role in ” Clowns @ Play ” . 1 – Hritik Roshan is the brand ambassador of Ground Zero Products . I am happy that as an acting trainer or acting tutor I had a very satisfying month . My 18 students appeared in 10 films , 02 students in 02 TV serials , 01 student in 01 regional film , 03 students in 03 plays and 01 student appeared in 01 Ad also . Thus total number of students working in the month of May comes to 25 . Self-proclaimed most famous acting school of Mumbai , self-appointed most famous acting institute of India and self-anointed most famous acting academy of bollywood are nowhere in the scene . On behalf of all the students and staff of VIDUR Acting Institute , which is known as Vidur’s Kreating Charakters , I congratulate all my above mentioned students . VIDUR Editing Studio , VIDUR Club and VIDUR Theatre also wishes them well in their glorious journey ahead . May they shine in their chosen field . May , through their endeavour , our acting institute will one day become one of the most famous acting institutes of the world . MUMBAI – MAHARASHTRA – INDIA JUNE 06 , 2013 08.30 P.M. I was shocked beyond words to hear about the sad demise of Rituparno Ghosh . He was my favourite director of Bengali cinema post Satyajit Ray era . 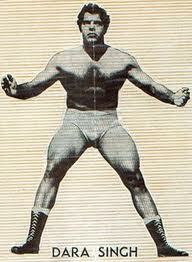 He died on 30 May 2013 in Kolkata after suffering a massive heart attack . He was 49 years old at the time of his death . He started his career as a creative artist in advertisement agency. In 1992, his debut film ” Hirer Angti “ got released. In 1994 his next film ” Unishe April “ released and it won National Film Award for Best Feature Film . 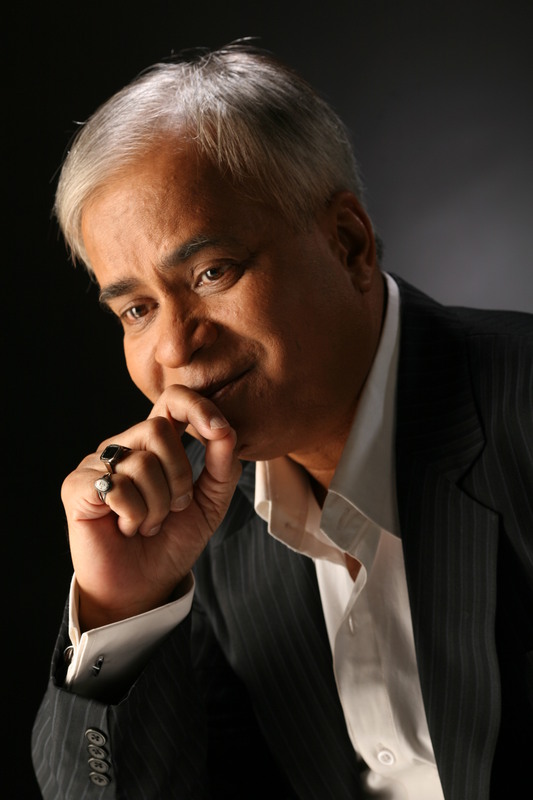 In his career spanning almost two decades he won 12 national and some international awards . 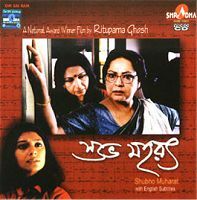 The first film of Rituparno Ghosh , which I saw , was ” Bariwali ” [ 1999 ] . It moved me immensely . Kirron Kher’s poignant portrayal of a lonely housewife , who rents her old house for shooting and as shooting progressed , she falls for the director of the film and finally her fancy comes crashing when the cast and crew of the film leaves her house after last day of the shooting . She was devastated that the directors has no feelings for her . 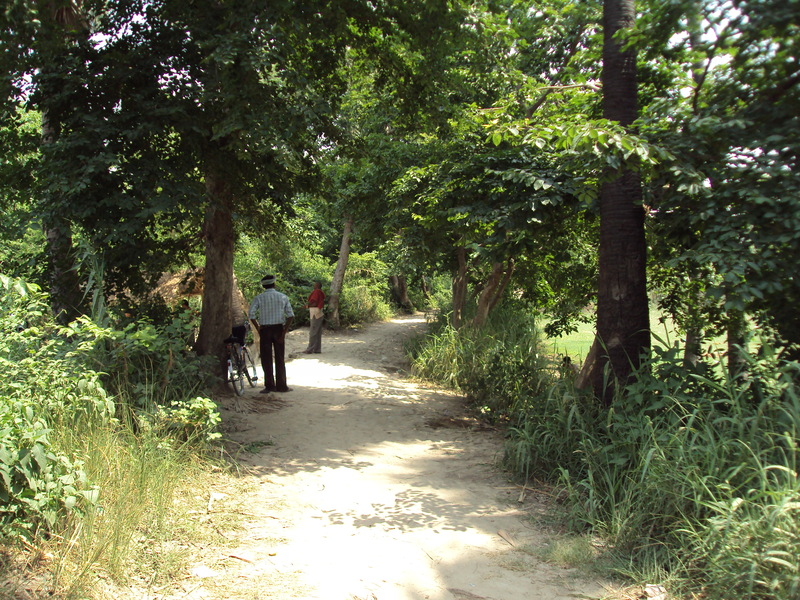 ” Bariwali ” is still fresh in my memory and it is etched permanently in my mind . It’s not for nothing that Kirron Kher got National Award for her performance . 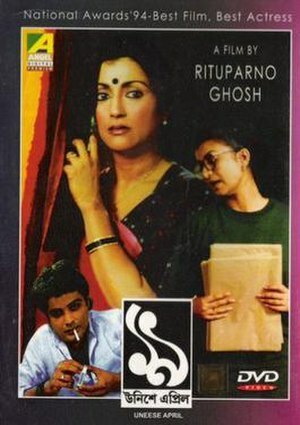 This was my first brush with the world of Rituparno Ghosh . The I watched ” Chokher Bali ” [ 2003 ] . During my adolescent years in Deoria , I had read the Hindi translation of the novel . 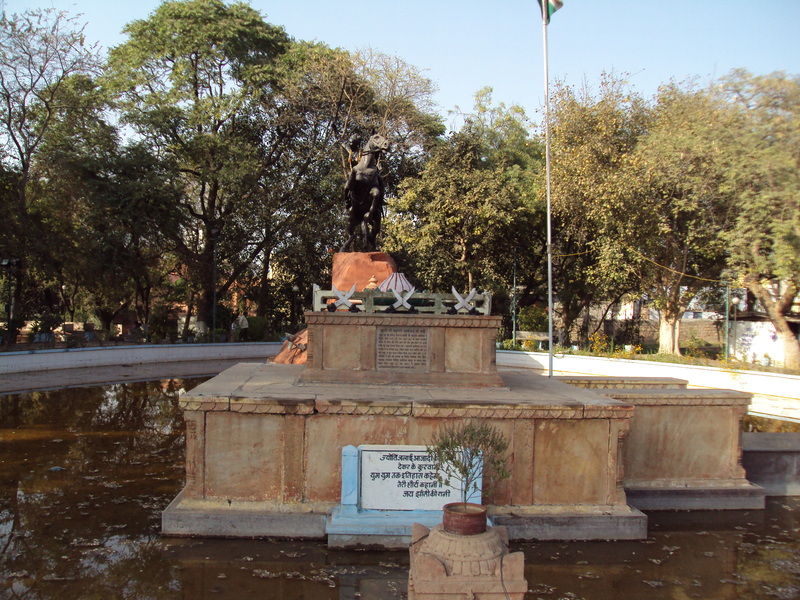 It was named ” Aankh Ki Kirkiri ” . Character of female protagonist in the novel was very difficult . Ritu da , as he was fondly called , not only filmed the story beautifully , but he also extracted remarkable performance from Aishwarya Rai Bachchan . Then I watched ” The Last Lear ” [ 2007 ] . It was very unusual film by typical bollywood standard . A remarkable performance by Amitabh Bachchan made this film important . Out of all 24 films , which he made as a director or writer or producer , I have watched only 3 films . But even then Ritu da’s impact fails to get obfuscated from my psyche . Here is the complete list of his films . I am shocked beyond belief to say anything else about the most prolific director of post Satyajit Ray era . On behalf of all the students and staff of VIDUR Acting Institute , which is known as Vidur’s Kreating Charakters , VIDUR Editing Studio and VIDUR Club I offer my heartfelt condolences . Farewell Ritu da. 49 is not the age to leave the world . But destiny has different and sometimes unexplainable plans .